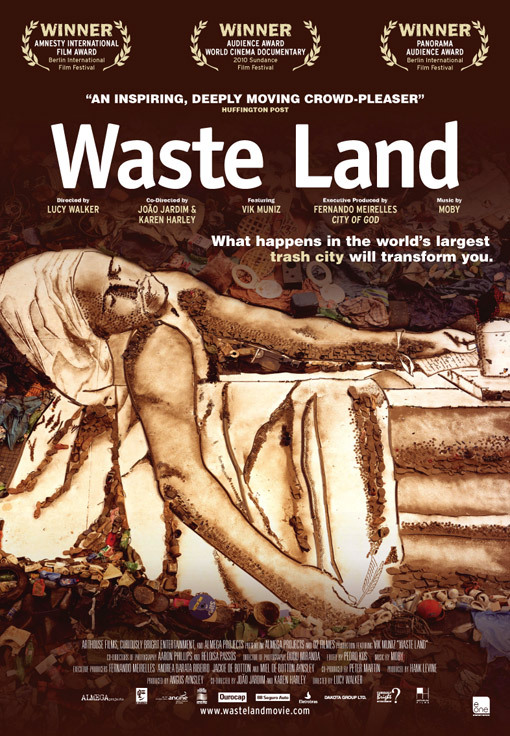 The title of this documentary is derived from T. S. Eliot's apocalyptic poem The Waste Land, where the world has been polluted by modernity. Director Lucy Walker isn't as bleak about her project because the film has the framework of a simple feel good story. Yet under the surface is anger, hurt and true humanity. It was appreciated through the eyes of artist Vik Muniz who obtained a new perspective on the world. He's extremely wealth and popular but prior to this film he was unsatisfied with his materialist lifestyle. 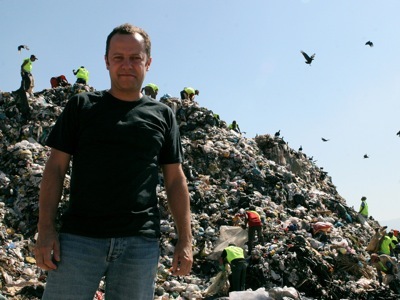 On the edge of Rio de Janeiro is Jardim Gramacho, the world's largest garbage dump. "Catadores" or pickers are people hired by the ACAMJG (Association of Collectors of the Metropolitan Landfill of Jardim Gramacho) to organise the garbage there into recycles so the materials can be sold. Vik initially intended to paint the catadores with rubbish since he is adept in collecting everyday things for his projects. One of his most famous works is called "Sugar Children", where he used sugar from the plantations in St. Kitts to develop images of the children working there. The purpose of this is to retain a tangible connection to his subjects as he constructs the works. It seems to remind him of what he is really illustrating, physically and metaphorically. This same method surfaced during the Waste Land project. He discovered that beneath the rubbish were real people who suffered and sometimes didn't even know their own situations. Vik's wife commented that some of them are in denial and that taking them out of their environments would potentially disrupt their minds. It was a valid point because many of the people working on the landfill had been there since childhood. They scavenged through the enormous rubbish piles willingly but were smart enough to organise it into piles so it could be sold and recycled efficiently. They showed their colour and intelligence to Vik through some of their quotes like '99 cans is not 100' and 'it's not rubbish because it can be recycled'. His empathy is clearly articulated in the documentary. He said that he used to grow up in poverty and suggested that he could have been working in the landfill. This is what developed his connection on camera and why he chose to make them the focus of the works. He auctioned off the paintings he made of them so that he could use the money to improve their lives. One of the most humorous paintings Vik design was a recreation of Jacques-Louis David's "The Death of Marat" in an old tub. 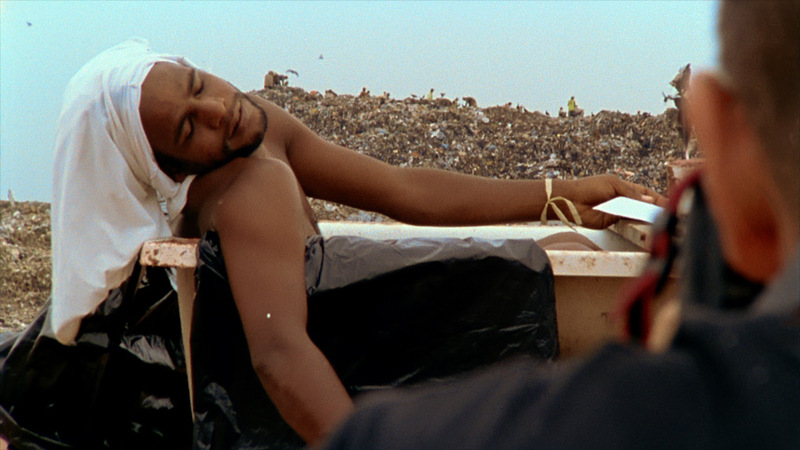 The class elements of Waste Land are its most surprising socio-political concerns. Many of the pickers stated they were frowned upon by people, who were not only wealthy, but well-educated Brazilians too. One of the common responses was that they don't care about being dirty because it was a more honest line of work than the prostitution in the area. The pickers in the film are distinguishing because of their courageous attitude but also because their stories are moving too. One of the women commented that she hated working in the landfill. She described how when her son died his body was wrapped in a plastic bag. Another woman recalled how she saw a baby left in the rubbish, which seemed deeply affecting for her because she had children of her own. The hurt beneath these people, who were so diligent towards a thankless task, gives the film emotional pull. It is a nice movie because it's about someone who simply wanted to use his own wealth, status and creativity to do better by others. It's very cleanly photographed and one of the most interesting shots is a wide angle of Vik sitting in his quarters, surrounded by all the junk on his wall, showing his isolation. This is just after he said that he was unfulfilled by how materialistic his life became. The only thing wrong with the film is that the Portuguese subtitles are in a white font, which means that in bright areas they are sometimes impossible to read. If it were a Hollywood picture people would call Waste Land sentimental and predictable. Yet the importance of the documentary is that its subjects and their attitudes are real and that there are still genuinely kind and hardworking people in the world. I find that alone extremely refreshing.